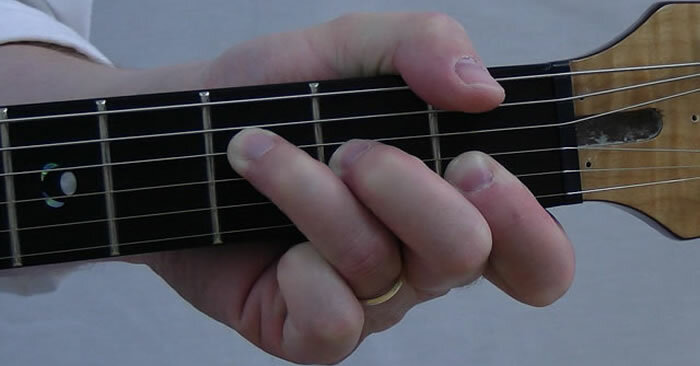 Many beginning guitar players fight with a basic F chord. 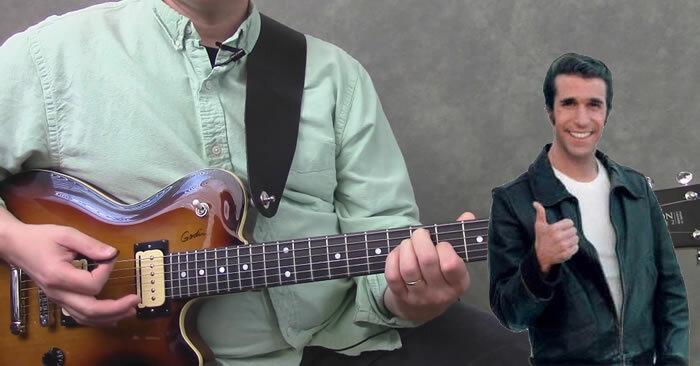 This guitar lesson will help you tame the beast. 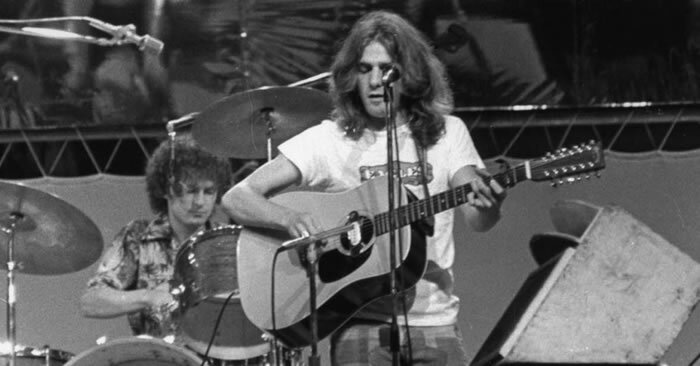 Learn a very common guitar chord used by The Eagles in their acoustic oriented songs. 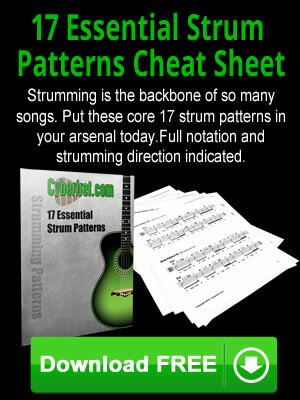 Often played wrong. 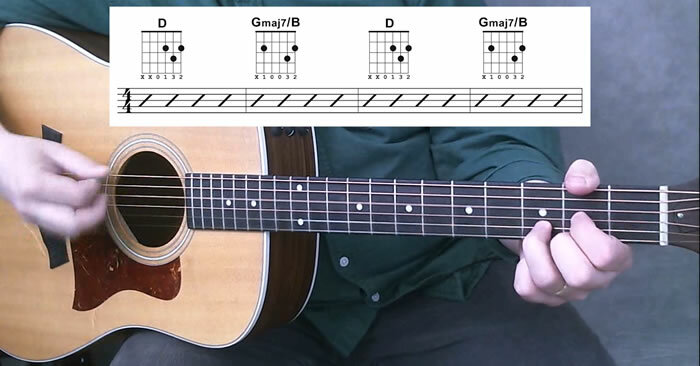 Learn some cool sounding guitar chords that are all based on a basic open position E shape. 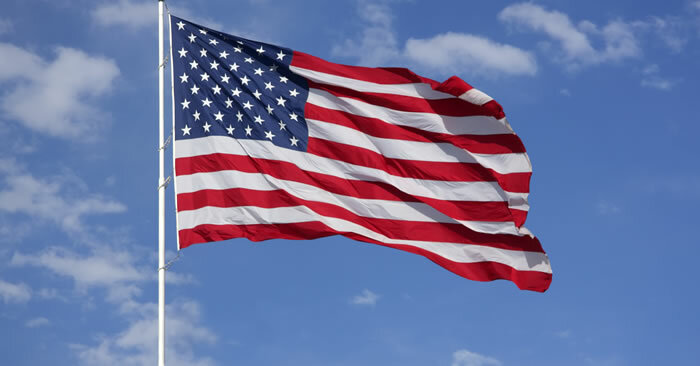 Learn how to play the basic chords and strums for the “Star Spangled Banner” in the key of G.